If you have a toddler in your house, you probably have had to say something like, “Teeth are not for biting people!” When toddlers are getting their teeth in, they tend to want to bite their friends, family members and even pets. Why do toddlers have a propensity to bite at that age? Is it a stage or a phase? Do they really want to hurt someone or something? Babies start out biting as a natural curiosity. It’s a way or avenue they use to explore their new world. This exploratory biting usually results in a cry of surprise or shock when she bites mommy’s breast or daddy’s finer. The baby usually sees the negative effect and moves on. This is actually an important part of the learning process for little ones. Toddlers often bite out of emotion. They are usually excited, afraid or experiencing stress of some kind. Babies and toddlers also often bite to release the pain from teeth that are erupting in their mouth. Mansouri Family Dental Care & Associates offers experienced and caring pediatric dentistry in our offices. We offer gentle care for our young patients who are exploring the use, function and care of their new teeth. 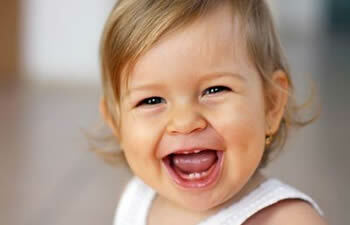 Did you know that by the time your child is three they should have 20 teeth? These teeth are called “baby” or “milk” teeth and they are important to take care of for a lifetime of dental health for you little one’s future. Call and book your child’s pediatric dental appointment today.